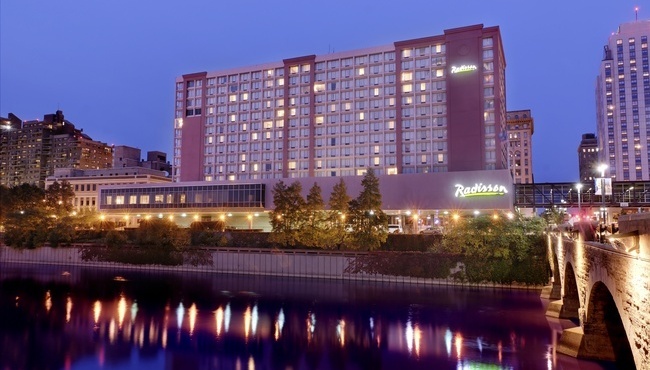 The Radisson Hotel Rochester Riverside has agreed to pay $1.8 million to settle a class action law suit alleging that its banquet service workers were illegally deprived of tips in the form of mandatory service charges added to bills for banquet events and did not receive spread of hours pay when they worked ten or more hours in a single day. The settlement agreement covers more than 200 class members who worked at the hotel during an almost six-year period. The lawsuit, filed in state Supreme Court in Monroe County in early 2016, claims Radisson violated a provision of New York State Labor Law that prohibits an employer or his agent from accepting “any part of the gratuities, received by an employee, or retain any part of a gratuity or of any charge purported to be a gratuity for an employee.” In other words, an employer cannot keep a “service charge” or gratuity that it leads customers to believe will be given to the waiters, unless they adequately convey to the customer that the charge is not going to the waitstaff. If they do appropriately convey that the charge is, for example, an administrative fee and not a gratuity meant for the waitstaff, the employer can keep all or a portion of the charge, but not any additional amount the customer intends for the waitstaff. In this case, attorneys for the banquet workers claimed that mandatory service charges were retained by the hotel instead of being distributed to the banquet service workers as tips and that the hotel failed to advise customers in writing that the mandatory service charge, which was approximately 20 percent of the food and beverage charge for events, was not a gratuity and was being retained by the hotel. The court approved the settlement agreement on August 23, 2017.